Call (504) 888-0695 to reserve a spot! Bring your own wine or libations to enjoy! Join Chef Duke for an evening of food and fun as he reveals his techniques for creating his famous cuisine. Call now to reserve your place at this enjoyable and filling event. 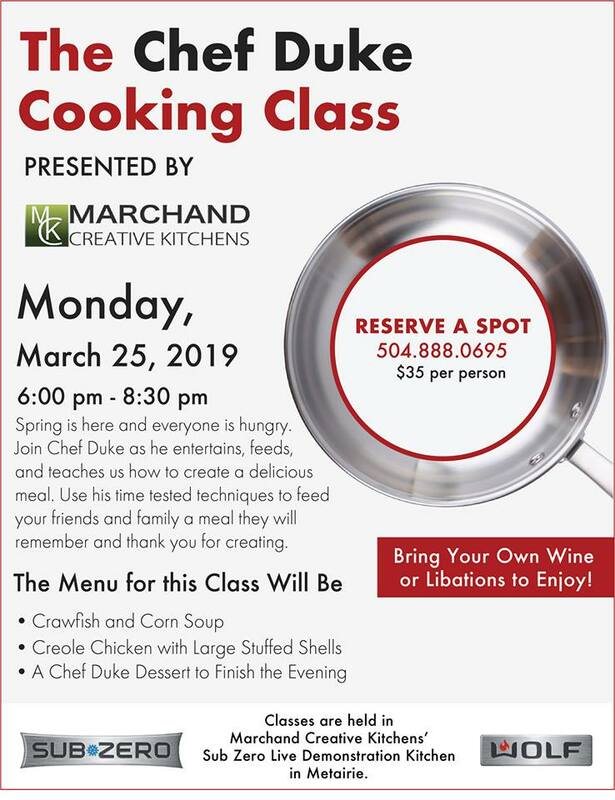 Call (504) 888-0695 to reserve a spot to cook with Chef Duke! Bring your own wine or libations to enjoy! The best place for food and fun! Bring your own wine or libations to enjoy! Have questions for our Design Team?